Project lead Nick Fishwick has thanked the Lunchsat team for the work that has been achieved in the run-up to the Systems Review held today, and is pleased the team has 'been able to show real progress for the year'. Nick began the review with an introduction to the project, before handing over to Graham Johnson (Systems) who has recently provided input as subsystem supervisor for the new Mission and Subsystems Requirements document and as such, gave insight into the mission objectives for the review. These were followed up with a detailed run-through of progress made in the ADCS, Thermal, Power and Mechanical subsystems. This continued into the next hour, with Tom Stuttard (Systems, Power) providing an overview of the new Operations subsystem before the work achieved with the On-Board Computer (OBC), Communications, Imager and Groundstations was described. Tim Mead (Power) concluded the technical breakdown of achievements made with his overview of the payload. The experts issued valuable guidance to the team, providing feedback of the session and offering their advice on how the subsystems should progress into the next year as development on the microsatellite continues. Also in attendance amongst the experts were project champions Ronan Wall and Neil Dunbar, who both expressed their positive impressions of the project -- in particular, on the progress made with power testing. In the meantime, work continues to conclude subsystem documentation ahead of the Management Review to be held next month, to which senior management will be invited for a debrief on the progress made in the past year. The final formal afternoon session for Lunchsat this year, scheduled to be held tomorrow, is set to take a departure from the usual format -- as members of the team begin to generate ideas for a new payload. In an unprecedented brainstorming session for the project, team members from the systems and operations subsystems will be developing novel ideas for a new payload for Lunchsat, in an attempt to distinguish the project from the cubesats that have gone before. Tomorrow's meeting will begin with a general discussion and subsystem roundup, to identify outstanding work in the usual afternoon session format. This is to be followed by the payload brainstorming session, set to last up to an hour, before a briefing of the Systems Review format and summary meeting conclude the afternoon session. 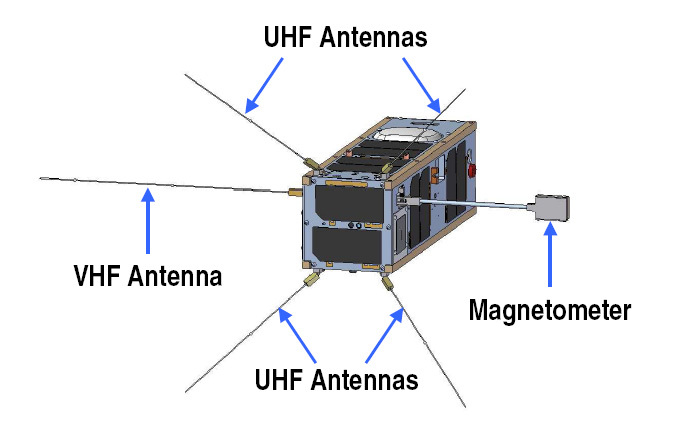 The imager currently forms the primary payload for Lunchsat, although the CanX-2 chassis, upon which the cubesat is based, has the volume to accommodate additional flight hardware. As such, there is a need to research options for additional instrumentation, within the constraints of physical volume and cost. This is of particular importance from a launch perspective, as the European Space Agency selects to financially assist the launch of missions based on the scientific merit of their payloads. 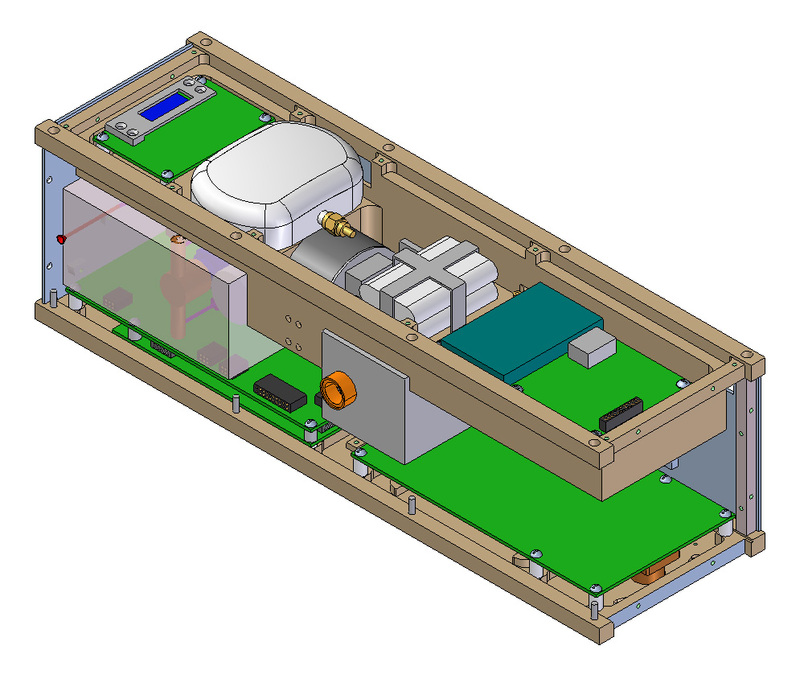 As such, further research into payload options could derive from in-house research and development, or assistance from external sources via collaboration as part of the wider Cubesat Research Network (CRN). Over the longer-term, it is anticipated that payload design and development is to be realised internally, within the Lunchsat team. At present, the current imager will be responsible for accomplishing the main objective of Lunchsat -- to provide colour images of the Earth from low-Earth orbit for the assessment of weather conditions at a resolution reasonable enough to show basic topographical features. Reflecting the capability of modern meteorological satellites, one option to extend the payload toolkit of Lunchsat would be to install sensors and instrumentation to monitor and track the weather conditions of Earth and the immediate space environment. 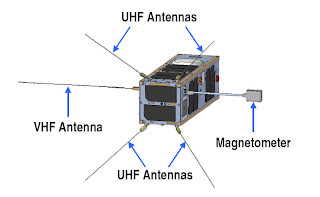 The main challenge remains however -- to achieve such an extension of functionality while keeping to the tight cost constraints realistic for a microsatellite. Other project work planned for the final afternoon session of the year include the completion of subsystem summary documentation, the updating of work package descriptions to assist the handover from the current team to the incoming graduate intake, and the conclusion of any other outstanding issues. For more information on the results of the research into payload options, refer to the Payload section of the Lunchsat website. The Lunchsat team has completed work on the final draft of the Mission and Subsystems Requirements document, summarising the requirements of the project and defining mission objectives, top-level and spacecraft requirements. 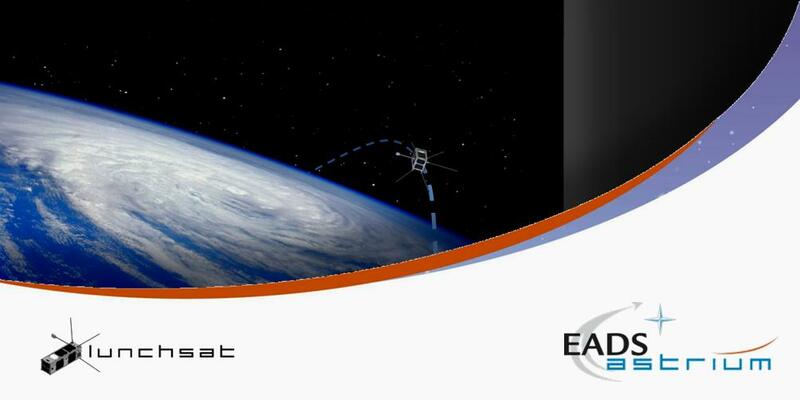 The document summarises the objectives and requirements of the Lunchsat mission in terms of cost and lifetime, as well as those of its space segment and two groundstations, and of its future launcher. The document goes on to define requirements of the spacecraft by mass, communications and of the mechanical, thermal and power subsystems, concluding general survivability in the harsh environment of space. The requirements outlined in this document will form the basis of future subsystem test plans, to verify that the subsystems are being designed in accordance with their required function, and that they have indeed met their requirements. The Mission and Subsystems Requirements document is the result of collaboration between the Lunchsat subsystem leads, including Fatou Mbaye (Systems) and Julia Ryan (Mechanical) reporting to project lead Nick Fishwick. Graham Johnson (Systems) also provided contributions as subsystem advisor. For more information, consult the Media area of the Lunchsat website.